How This Blog Came To Life - EAT WITH HOP! I majored in International Studies at UCI and during my time there, I participated in the UCEAP program to study abroad in both Korea and Japan. During my time studying abroad, travel blogs basically became my best friend. Not knowing the language definitely was a disadvantage, but with the help of travel blogs, I was able to make unforgettable memories. What are the best places to eat? How tourist-y or foreigner-friendly is it? How would I get there? Korea is very restrictive on their Google mapping. In fact, one simply cannot just Google map navi their way to somewhere as it won't work or might not even exist on the map. Also, Korea is always changing with new shops replacing the old so Google maps might not have it updated. So, thank you to the fellow bloggers out there who have helped me find some of the most interesting places. They have provided easy transit / walking directions, totally awesome photos and reviews and simply made my life so much easier abroad because everything is in English. In Japan, I had no problem finding my way using Google maps or tourist maps. But reading travel blogs about Japan made it so much easier to discover. There's just so much about Japan that isn't ready to be opened up to foreigners. This means, everything is in Japanese. I found such valuable information, travel tips, awesome restaurants from people like me, just traveling and discovering. These days, whenever I travel, I look to blogs for tips. 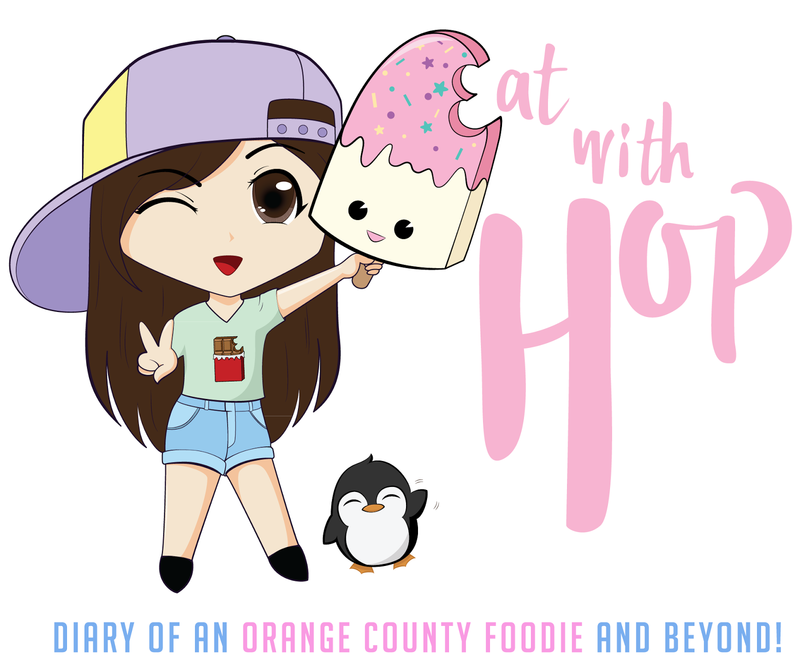 Because I benefited so much from reading other travel blogs while abroad, I want to share my own discoveries, tips, hot spots about my own home sweet home so that others traveling to the Orange County area and its surroundings can also get some insight on what to eat and where to eat. I hope to be able to provide other travelers and even locals useful information on places that aren't in the usual, typical travel guides. So whenever I tell people about my blog, the inevitable question is, "What is your blog about?" Of course I always answer that it's about food but then I realized that it's not a good enough answer. So for all of those wondering, what is my blog really about, it's about what I like to eat. I mean, I guess that's kind of obvious but then the question comes down to what do I like to eat. I loooooooove eating dessert. I love eating desserts that are weird, strange, with a twist, unheard of, or a result of fusion. And I eat dessert mostly... well everyday! I know this sounds bad but I can't take it out of my diet. So this blog will mostly be about dessert! I also love trying new restaurants or restaurants with new creations. I love eating fusion, food that may be strange to people, or food that is not well known to people. What you will probably never see on this blog are foods that I dislike. This includes hotpot. I'm not a big fan of hotpot because I don't really like eating hot foods with hot soup. I generally don't like hot soupy things actually. Along with that, I also do not really like tofu houses. That's right, if you invite me to go to BCD Tofu House then I'm going to be nice and considerate but honestly I think it's too overpriced and too hot! I also don't eat much "American" (what is American anyways...) food because it's usually too heavy and makes me feel too stuffed. But I still like to go to BJ's for their pizookies! So there you have it! If you're into hotpot or foods with hot soups then please look elsewhere. This blog ain't about that stuff. But if you're into cool desserts and fusion food then join me on my adventures! I hope to be able to show readers some of the coolest places to eat. I've been lucky enough to meet many friends from all over the world and one of my goals is to have this blog reach worldwide. Instead of relying on the mainstream travel guides and just visiting typical and cliche tourist spots and restaurants, I hope to be able to help others discover memorable places they might otherwise have overlooked through this small blog of mine!